Barrio East is situated in the popular east side district of Shoreditch. An area once dominated by the working class and aspiring boxers, has now been gentrified by the creative industry peeps that have influenced the continued conversions of industrial buildings into offices and flats priced on par with its west side sister Chelsea. Shoreditch is a lively nightspot where you can head out on any night and be knee-deep in a restaurant or bar with white collar and blue collars side by side. With an ever expanding foodie following, Shoreditch has seen an influx of cute and quirky little bistros, restaurants and bars. One such one being Barrio East. 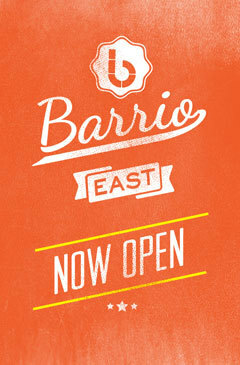 Brightly coloured, cantina style decor with subtle rhythmic tunes gives Barrio East a relaxed vibe. The staff are quick to have you seated and cater to all your gastronomic and thirst quenching needs. With a list of classic and twist cocktails, there is something for everyone. Barrio hosts an 'Amigo Hour Specials' daily from 4pm - 8pm, where all cocktails are £4.50. I highly suggest you check into the venue to take advantage of this deal. Now, onto the food. Barrio East has a food menu to blow your taste buds, whether it is brunch, dinner or a snack in between, the chefs at this east side London venue can deliver. A friend and I decided to catch up at this venue and cure our hunger from the creative brunch menu. 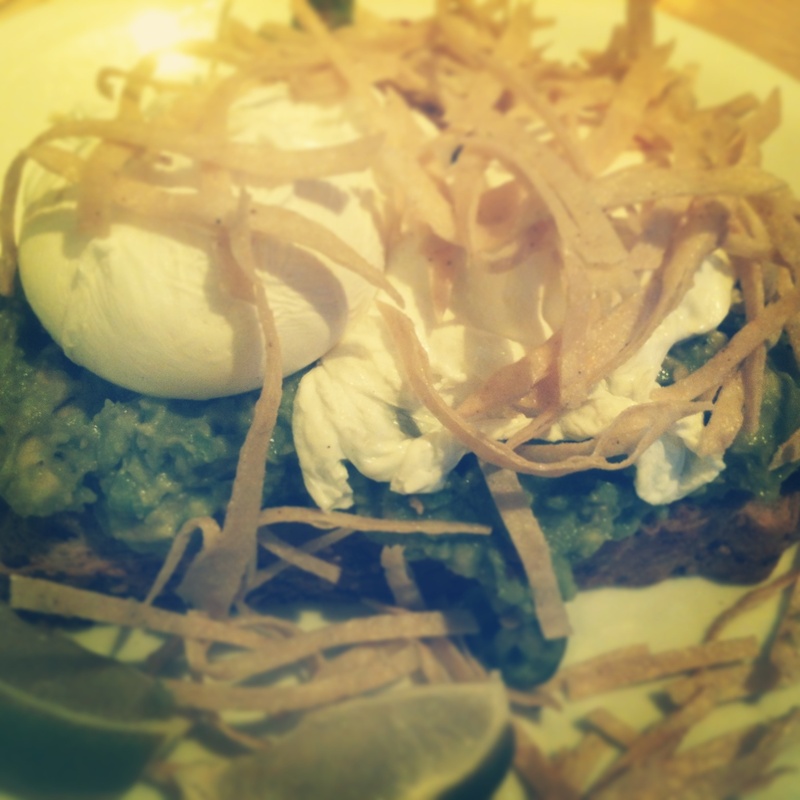 A huge fan of avocado I decided to select the Mexi-Can - comprised of thick ciabatta, fresh guacamole, poached eggs, topped with crunchy tortilla chips and jalapeños. Flavour overload in a good way. 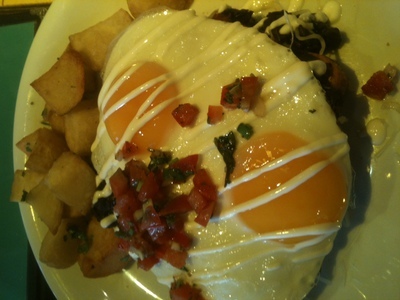 The eggs were runny, just as I like them, and the tortilla chips gave the combo a unique addition in crisp factor. I highly recommend having a Sunday brunch session at this eclectic venue. Great food, great service and happy-go-lucky atmosphere is a win-win in every way. Cost: Reasonable for the size of the meals available.